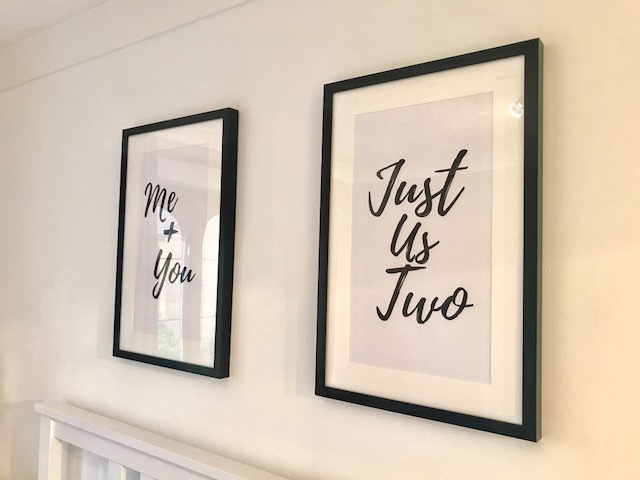 This is my final instalment of my house tour series. 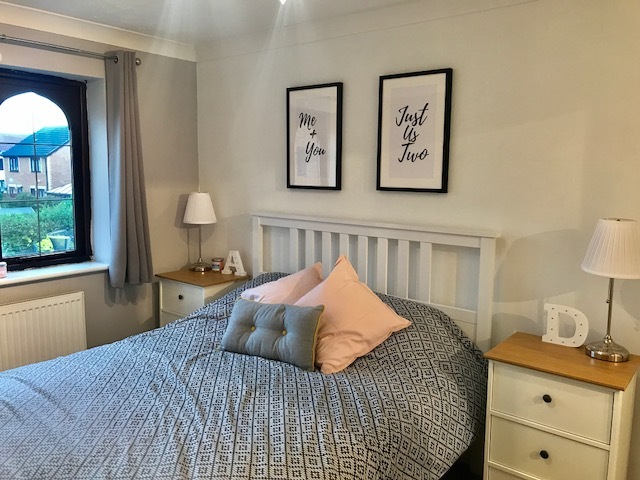 The Bed room is finally looking like an actual homely room rather than just a room full of furniture! A few weekends ago I went along to Ikea with Ashton as she is filling her new home with beautiful things too. I needed just a few bits to make this room look finished. 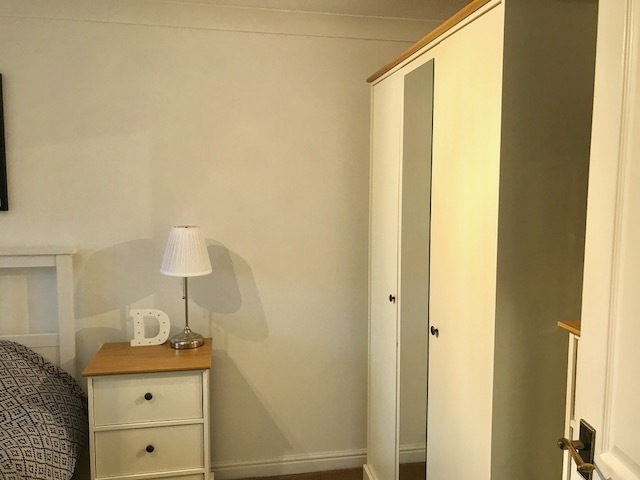 The bedroom furniture we choose from Argos, the bedside tables, wardrobe and chest of drawers all came within the same range and as we bought 4 pieces there was a discount which is always good. 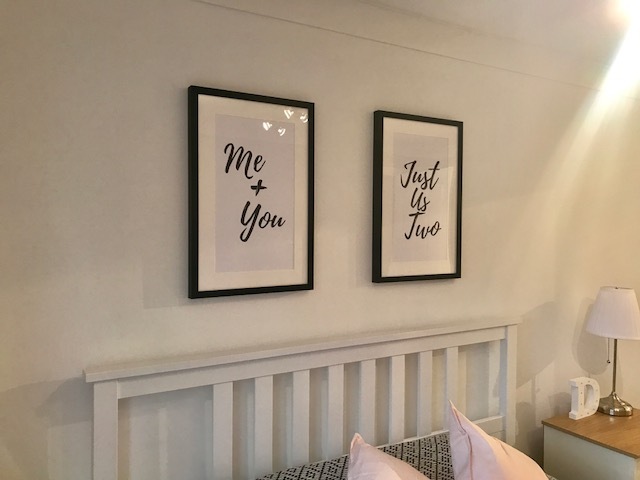 The bed was from Ikea, we really liked this one and the one that was within the Argos range wasn't as nice so we thought we would go with this one instead. Our mattress we actually got from DFS, we was choosing our sofa and the sales guy talked us in to the mattress too! (How expensive are mattresses!) 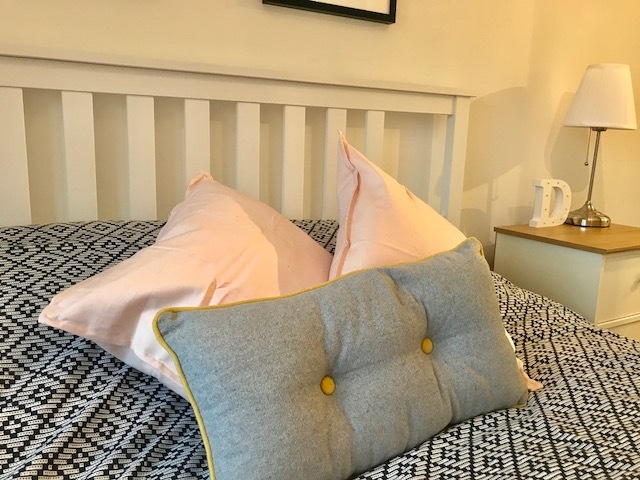 Our bedding is from Next, the pink cushions I picked up in Ikea and the grey one is an old one from T K Maxx. 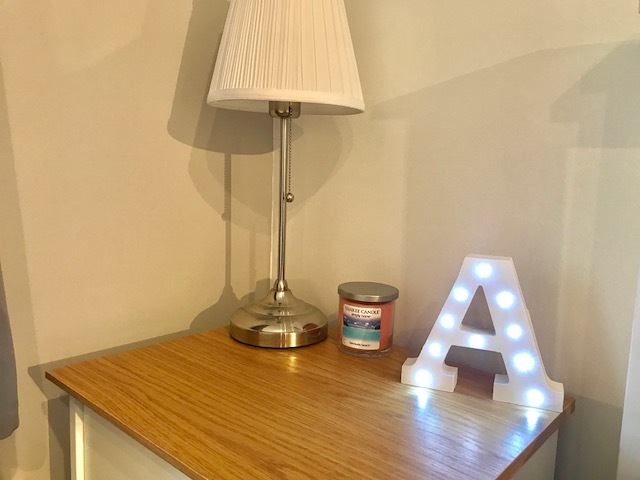 Our lamps are from the most recent Ikea trip and the A & D light up initials where a 'new home' gift from Darrens Step mum. I feel like these little touches make it a lot more homely and 'lived in' as it where. I feel like I have created that Pinterest worthy look and Im very pleased with it. It looks so nice and homely! 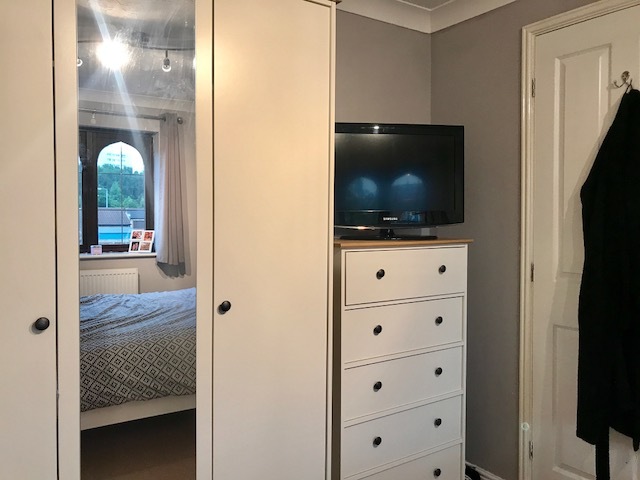 I love the grey colour on your walls and those matching bedside lamps are the cutest!